Please post your step by step pictures. Thanks. I bought mine this way, but have grown to love it. You may want to google it too. A great way to get agressive sound for pretty inexpensive. So would you guys say that is worth doing it? Beside sound, are they any other benefits? How about the smoke test any related issues? Sorry I am not too familiar, "knowledge is power"
It's one of the best mods I've done to my car. It's well worth it. No real benefits other than sound, but believe me, that's plenty. It makes the car sound like it should have sounded from the factory. No issues with smog tests. Hey Dennis thank you, I am going tomorrow to my local muffler shop and see what they can do. Now Do you think the pipe should be 1.5" or 2" Now remember my car has Fabspeed sport mufflers and cats already. Franco - why would you do it if you already have Fabspeeds? Are you just looking for more sound? 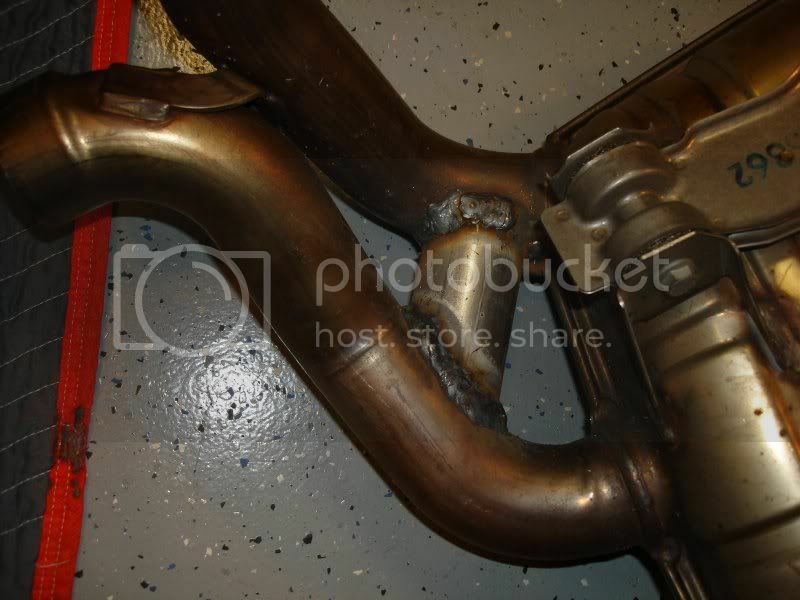 On an aftermarket muffler, I think your only option is to weld a bypass pipe between the muffler inlet and outlet pipes. Not sure on the size. DO NOT hack up your Fabdpeeds. 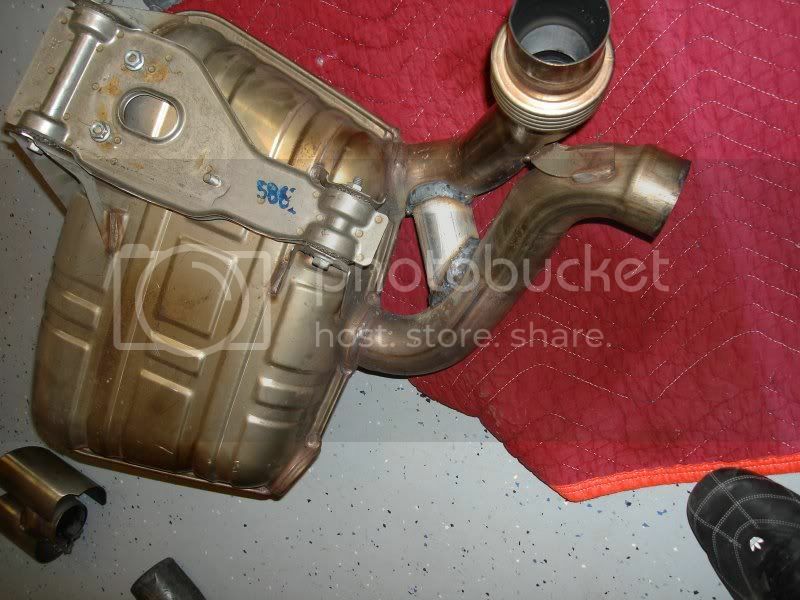 If you want to change your sound, do it with stock mufflers. 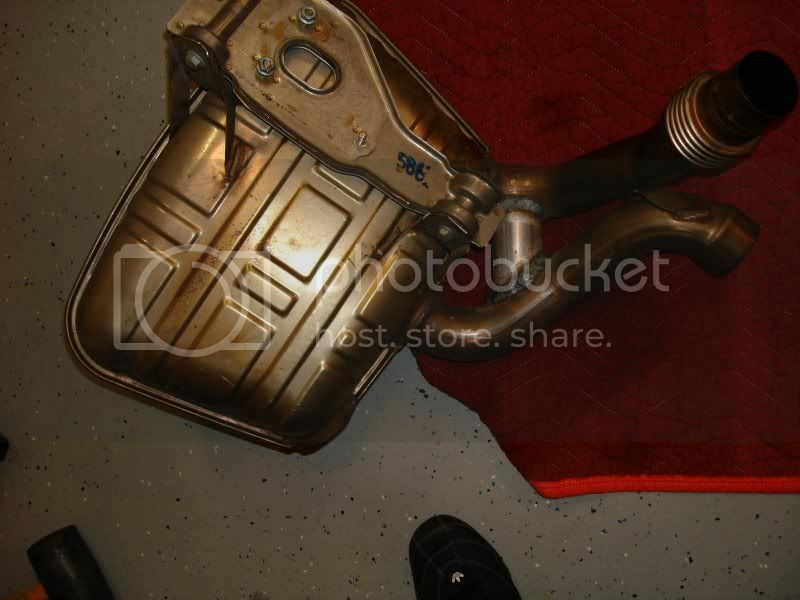 If Fabspeeds are too quiet for you then you should be looking at cup mufflers or muffler bypass. Mount a wireless mic near your muffler and transmit to your radio, so you can give yourself surround sound without annoying the entire neighborhood. Don't do it on Fabspeed! If you're doing it on something else, take the muffler off, go to a good muffler shop, show them the pics and say "do this." 1.5" or 2" pipe will do the trick. Last edited by FLA996TT; 06-05-2012 at 08:41 AM. I gotta feeling more cars are gonna be doing this in the near future. Hey Dennis, yes more deeper sound, not so much like a F430 or 360 Modena but agressive like that. Uhmmm So would say I were to do it on Fabspeed I will ended up ruined them? Can't be bother put the originals since is too much headache, that was the whole idea why got them on the first place. Thank you for the photos!!!! 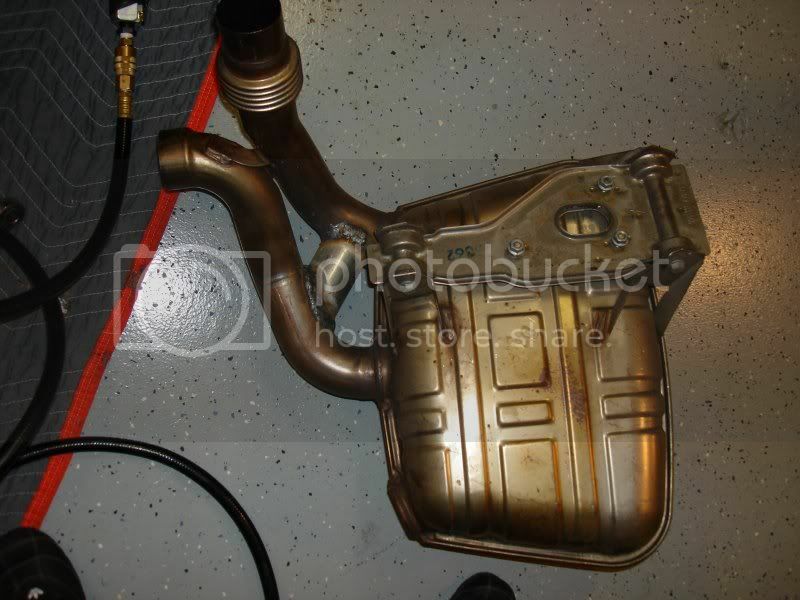 So is the mod just welding a 2" pipe as shown in those pictures? Quick Reply: Gundo hack on a 996 Can it be done? Please post your step by step pictures!! !